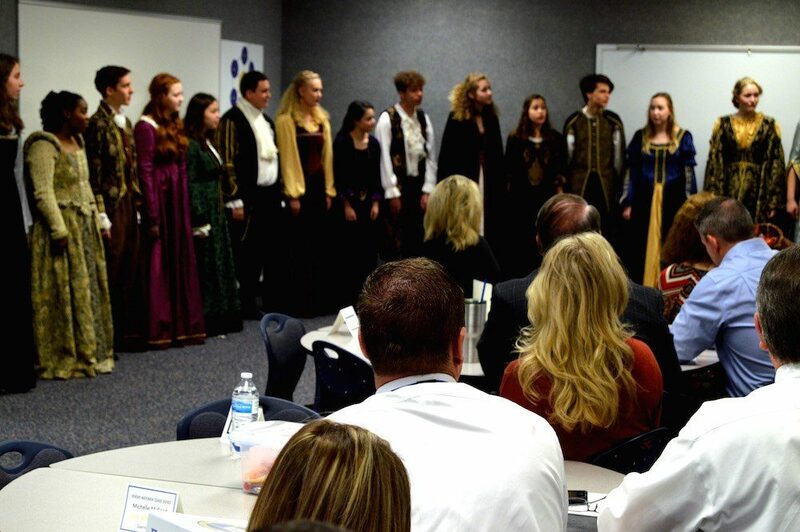 The FHS Madrigal Choir livened up the Frenship Principal’s Meeting with a musical medley on Monday. The pop-up performance was a miniature dress rehearsal for the Madrigals as they prepare for their annual Madrigal Dinner in December. 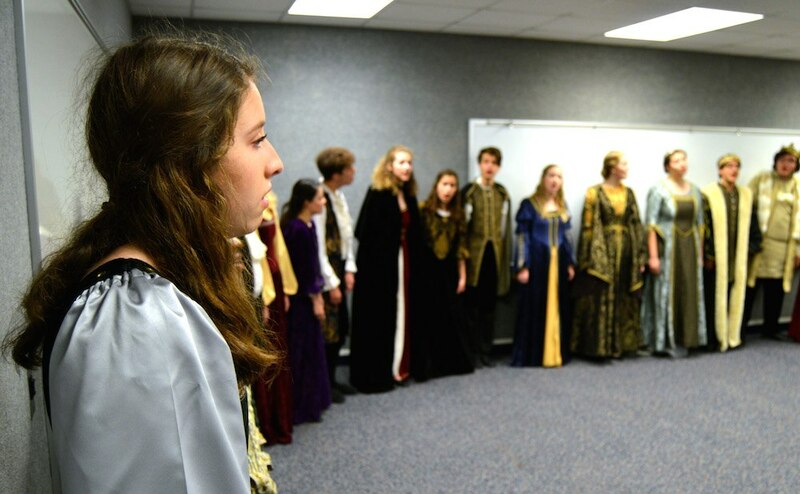 The Madrigal Dinner includes a medieval feast, a scripted performance and a musical concert. This year’s dinner will be hosted at the Broadway Church of Christ on December 7 and 8 at 6:30 PM. For more information or to purchase tickets, click here.